When you’re a patient at Holliday Orthodontics, you’ll be cared for as we’d care for a member of our family: with professionalism, compassion, and respect. Dr. Sean Holliday, Dr. Sherri Lyn Chong, and Dr. Todd S. Kimura, understand the importance of having a healthy, beautiful smile. That’s why they’ll work with you to find the treatment solutions for your individual needs and circumstances. Our team members promise you’ll never be another number on a chart to us. We thrive on developing lasting relationships with our patients, getting to know each on a personal level. Not only will we remember your name, we’ll remember your interests, passions, and dreams. It’s a joy to spend our days helping our friends develop optimal oral health, along with straight teeth and confident smiles. We’d love to help you do the same. We’ve built our offices to be welcoming and comfortable. We’d like you to enjoy your visits, and are always glad to address any concerns you might have. This is a positive space, where you’ll be surrounded by laughter and smiles from the minute you arrive. We provide an iPad station for your use while you are in the reception area. Our patients tell us they like coming to see us and we know we like seeing them. We’re always swapping jokes and laughing with patients as they share stories of their adventures. Along with a friendly atmosphere, ours is a high-tech practice, where we use technologically-advanced options for diagnosing, monitoring, and treating orthodontic issues. This ensures the most comfortable care, reduced treatment times, and the most accurate and beautiful smile results. Many people are under the mistaken impression that orthodontic care is only for children and teens. While it’s true that you most often see metal braces and colored bands on younger patients, a sizeable number of adults are also straightening their teeth. Today’s technology allows us to move teeth practically invisibly, through the use of clear aligners and brackets. It’s likely that many people you know are undergoing orthodontic treatment right now, only you can’t see the braces or aligners. What you likely notice, though, is that they’re smiling more often and with greater confidence. We would love to help you develop the amazing smile you’ve always wanted, too! Before committing to orthodontic care, it’s important to know your treatment options and find an office where you feel at home. 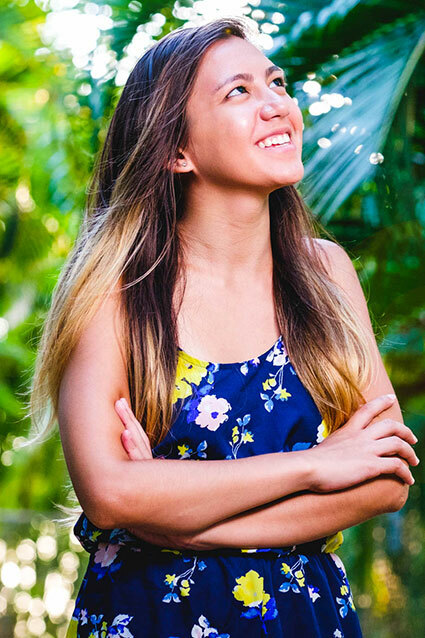 We invite you to call and schedule a complimentary orthodontic consultation at our Pearl City, Kailua, Honolulu, or Kahala office. Come in, meet the doctors and team, receive a free initial exam, and learn how we can help you achieve your smile dreams!